Indian Contemporary Designer Purvi Doshi, the connoisseur of textiles and handlooms will be showcasing an exquisite collection named Beauty & Beads on 6th August 2017 at the upcoming Bangalore Fashion Week W|F 2017. Purvi Doshi evokes a subtle sense of art in “Beauty and Beads”, combining those traditions seamlessly to the heart of the garments and its patrons, capturing a contemporary effortless feel in its style and detail. Chic, Urban or contemporary silhouettes that are relevant to woman of today. Myriads of Gujarati bead-work embellish the subtle “red-carpet” green-dresses that bolsters her commitment towards working with the arts of the region, of which there are merely a few exponents left today. 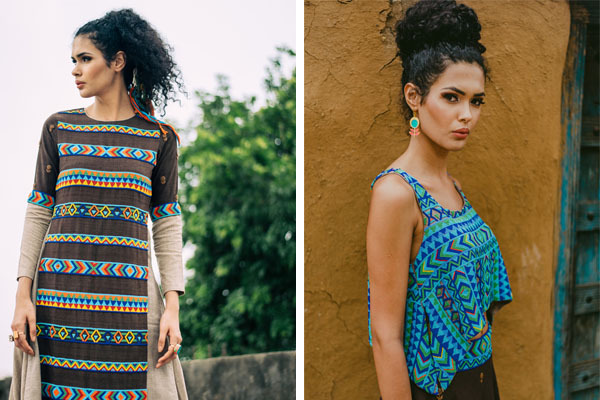 With an aim to further the cause of keeping alive of the intricate arts of India like Khat, Aari, Mirror-work embroideries and other skills that are now at the brink of redundancy due to inadequate opportunities for the craftsmen to earn a living, Purvi Doshi has launched this collection. These crafts are traditional and passed on for some generations now. Designer Purvi Doshi mentions – “Colors can be added with dyes which pollute nature or by such embellishments that form the garment’s integral part. This collection is one such attempt at uncompromisingly creating garments with multitude of colors and hues using intricately embroidered beads. The ensembles use purely handwoven Ahimsa silk (Peace silk), that is made using humane methodology, without harming the creatures that the many traditional ways do. Since, “No good can come out of doing bad to our fellow creatures”. 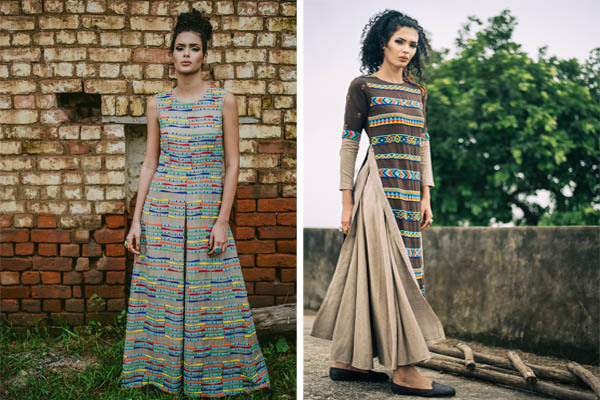 Purvi Doshi hopes to bring a change by making artisans in-charge of their own lives and give fashion the slow, steadfast care that its users and its makers deserve.